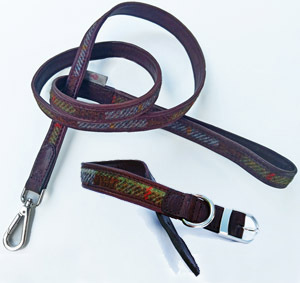 The new accessory tester. 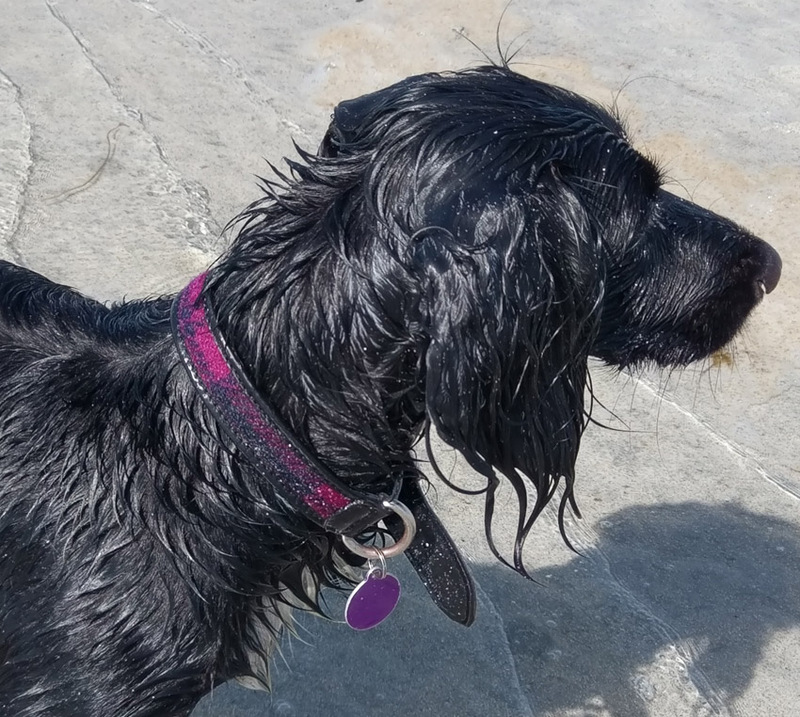 Wet again! 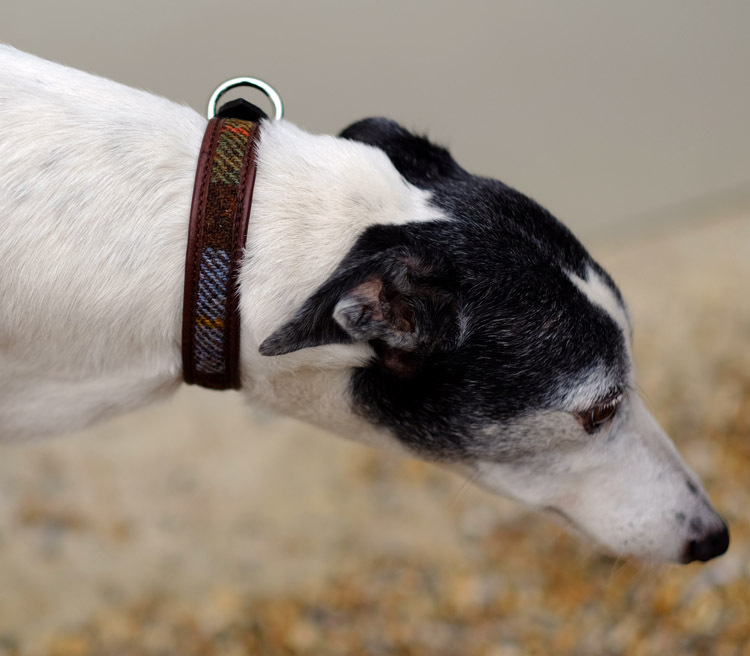 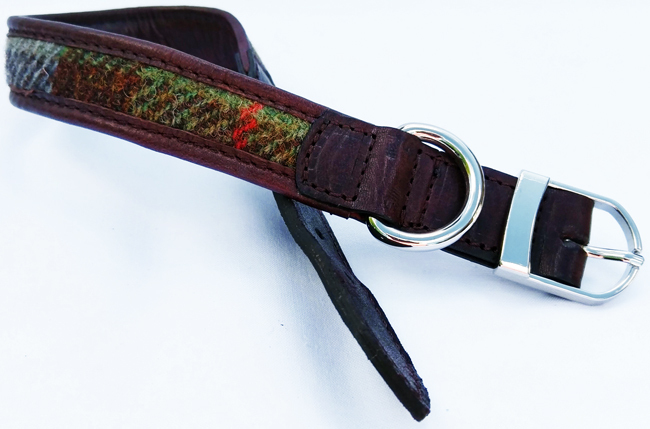 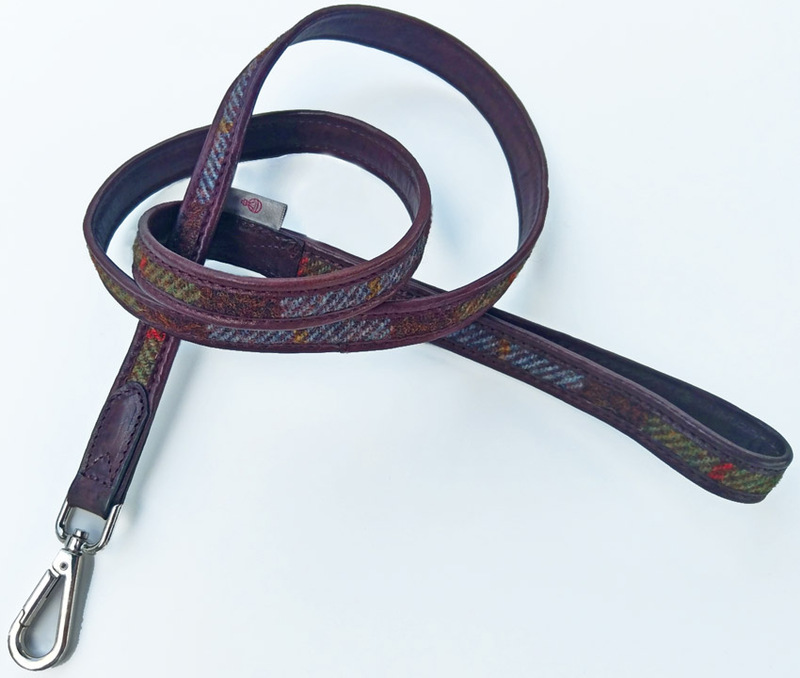 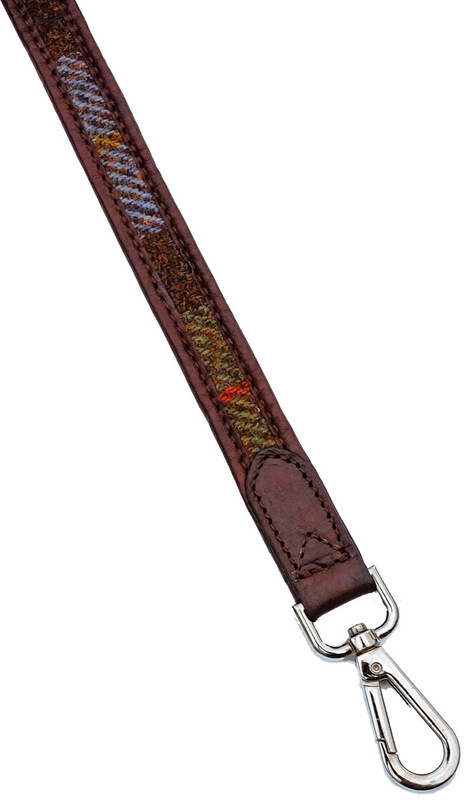 A matching set of Harris tweed dog collar and lead in blue green check with chocolate brown leather trim.